Habaki : Gold colored copper double Habaki. Blade length : 69.4 cm or 27.3 inches. Sori : 2.3 cm or 0.91 inches. Width at the Hamachi : 3.1 cm or 1.22 inches. Width at the Kissaki : 2.20 cm or 0.87 inches. Kasane : 0.72 cm or 0.28 inches. 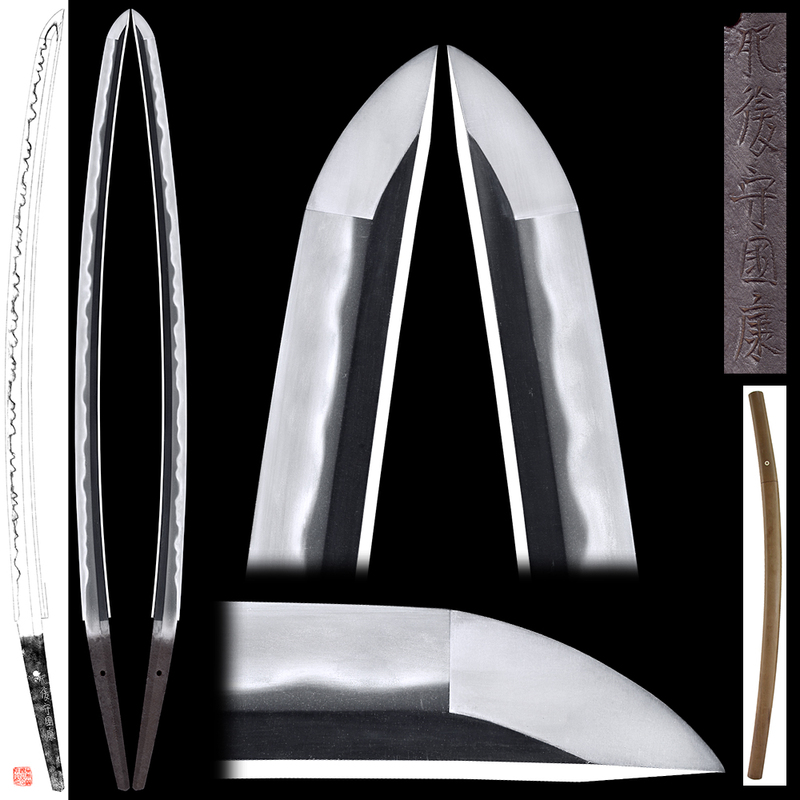 Shape : The blade is long and thick with deep curve and long Kissaki nice looking shape. Jigane : Koitame-hada well grained with Jinie attach. Beautiful Osaka Jigane. Hamon : Suguha from Hamachi and becomes Gonome-midare with deep Nioikuchi. Sunagashi and Kinsugi work very active. Boshi turns round shape. 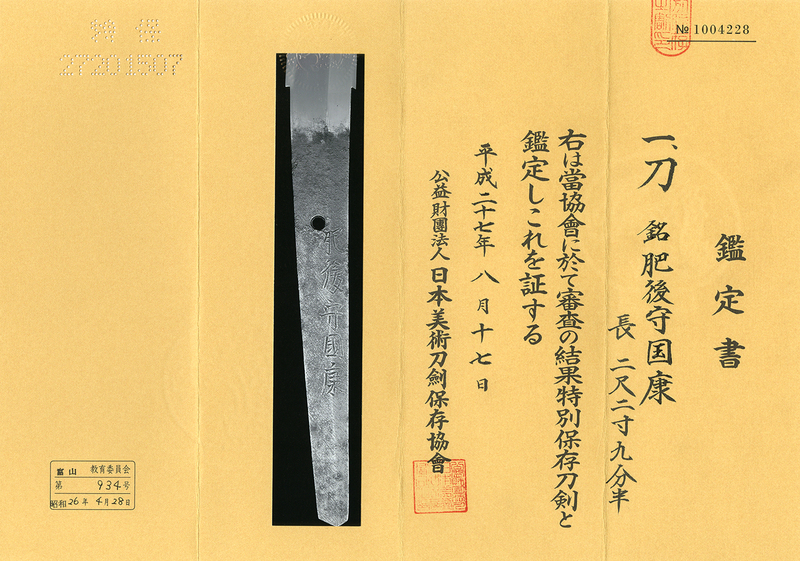 Special feature: Higo kami Kuniyasu, his true name is Kobayashi Minamoto Zaemon. He is a younger brother of Kunisuke the 2nd generation. His style is very similar as Kunisuke 2nd generation. Kunisuke 2nd generation is well-known sword smith with nice Kobushi Choji Mirare. But the quality of Kuniyasu blade is rather better than Kunisuke. We recommend this Katana for you. Tsuba : Eggplant and insect engraved with Shakudo and silver color. Menuki : Cow is engraved with gold color. Fuchikashira : Autumn flower and singing crickets are engraved on silver plate.